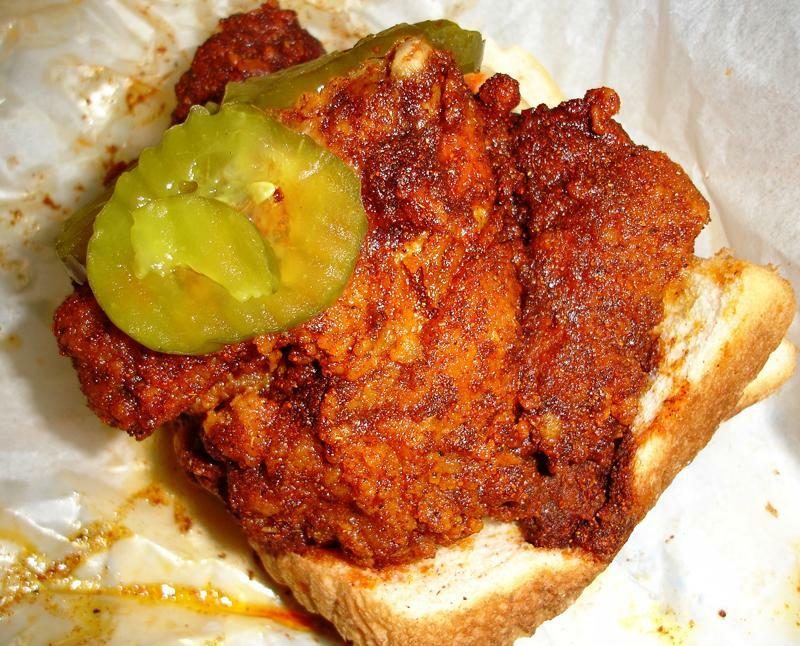 Fiery, cayenne-laced fried chicken—usually served with pickles over white bread—is eaten throughout Music City, but its spiritual home is Prince’s Hot Chicken Shack. Lore traces the recipe to current owner Andre Jeffries’s great-uncle Thornton Prince. When a spurned lover fed him extra-spicy chicken out of vengeance, he liked it so much that he began cooking it at his restaurant.